Surface isn't just about the future. 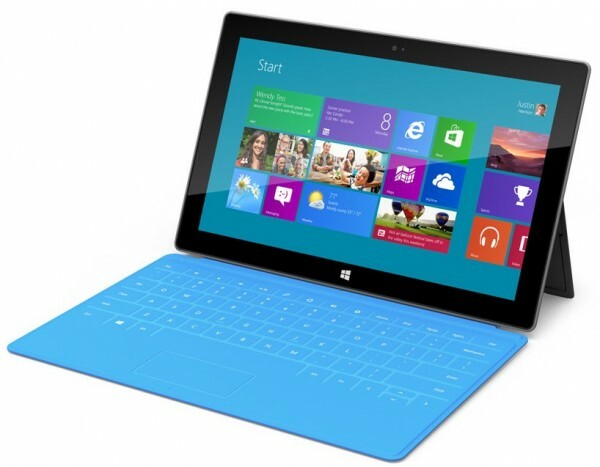 The tablet is also about the past, and Microsoft bringing to market a vision quashed by its hardware partners. In 2012, Surface is all about Apple and Microsoft securing a fast foothold in the emerging cloud-connected device category. But the tablet also encompasses something sought six years ago: Project Origami. It's no coincidence that Project Origami's launch was, until yesterday, the last time Microsoft held a super-secretive media event that generated big buzz. Surface and the other share much in common, and not just buzz. Before there was iPad, Microsoft developed Ultra-Mobile PC -- or what Project Origami came to be branded. The idea: To bring to market a sub-$500 touchscreen computer. The software giant sought this product category four years before iPad stormed the media tablet market. Surface is Project Origami's revenge, against Apple and Microsoft's hardware partners. When working as a JupiterResearch analyst, I met with Microsoft product managers during Ultra-Mobile PC's development. They were keen to get my opinions, which I never really got to give. Someone else in attendance, not from Microsoft, interrupted with over-enthusiastic praise, using up all our time. I was more cautious, believing Project Origami could only succeed if products met Microsoft's sub-$500 price objective. But I remained doubtful OEM partners would deliver. You have to understand something about Ultra-Mobile PC. This was Microsoft's baby, although it was presented as a partnership with hardware manufacturers at launch. Microsoft developed the concept, which simplicity was brilliant: Build a low-cost touchscreen computer using off-the-shelf parts -- stuff readily available rather than having to be engineered. The advanced engineering, the product refinement, could come later. But greedy OEMs looked at Ultra-Mobile PC differently, as a new category for which they could charge more. The first devices cost twice as much, or more, than Microsoft planned. Selling for the same price as cheap laptops, UMPCs couldn't compete. They offered too little for the price. The products failed, and everyone blamed Microsoft. But the people behind Project Origami had the right idea. Microsoft created the reference design and prototypes for OEM partners but depended on others to bring the vision to market. They failed. Six years later, Microsoft makes another attempt at bringing the concept, now vastly evolved, to market. Only this time, the company won't rely on OEM partners. Microsoft isn't so much competing with OEMs, but pushing around them. They've been in the way -- obstacles of innovation for years. That the company would bypass them at all shows just how much has changed inside the software giant. It also shows how much Microsoft is willing to risk -- relationships with any, and perhaps all, OEMs -- to advance its software and services platforms. Microsoft isn't a follower but a leader. For anyone in the Apple Fan Club suggesting Microsoft is imitating iPad's maker, get a real life. Put down the Kool-Aid. Microsoft pioneered the tablet market a decade ago and sought to break into the low-cost, touchscreen computer market six years past. But the company was beholden to hardware partners. No longer. Microsoft is doing with Surface what it should have done years ago -- design, brand and sell its own PC hardware, software and services platform. The software giant has bled too much for OEMs far too long. Had Project Origami succeed six years ago, there likely would be no iPad today, perhaps even no iPhone. In some alternate universe somewhere, perhaps that is reality. Microsoft can't afford any more setbacks, as its future is at stake. The PC era is over. Cloud-connected devices are the future, and Android and iOS devices are leaders in a category where Windows share is too small for analysts to measure. Microsoft is right to take charge. The only question is price. Will Microsoft maintain that sub-$500 price vision? I expect the answer will be yes for Surface running Windows RT. Value is a long-standing Microsoft corporate cultural trait. I see it at my local Microsoft Store, where products are value-priced and deals often are better than anywhere else I can shop. Microsoft tends to plan five years or more out. Surface will get bigger as the company opens more branded stores. What we're witnessing is completion of Microsoft's three-screen strategy, while tacitly acknowledging the strategy is a failure relying on third parties. There are Xbox and Surface, which Microsoft designs and brands. There remains one more screen, around Windows Phone, where with Nokia Microsoft is close to delivering an end-to-end product. I wonder if now, with Nokia reduced to junk status and shedding jobs, if Microsoft shouldn't buy the manufacturer. I wouldn't be surprised to find out later that current downsizing turns out to be as much about prepping for Microsoft buyout as trying to aright listing Nokia. In such circumstance, Microsoft's three-screen strategy would be complete, without the need for third parties. If Microsoft could ship today, Surface would send ripples across the tablet marketplace. It's too bad the first devices won't arrive for months. But come autumn, for all Apple's early sales success, Microsoft will pull from a much larger and deeper ecosystem -- and across the Surface, iPad is but a stone's throw away.